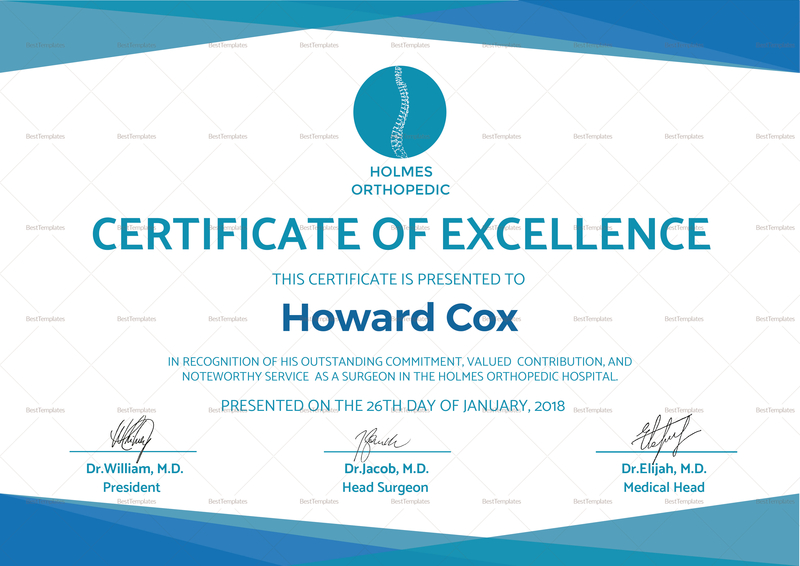 Honor an outstanding member of your medical team with this Medical Excellence Certificate Template. 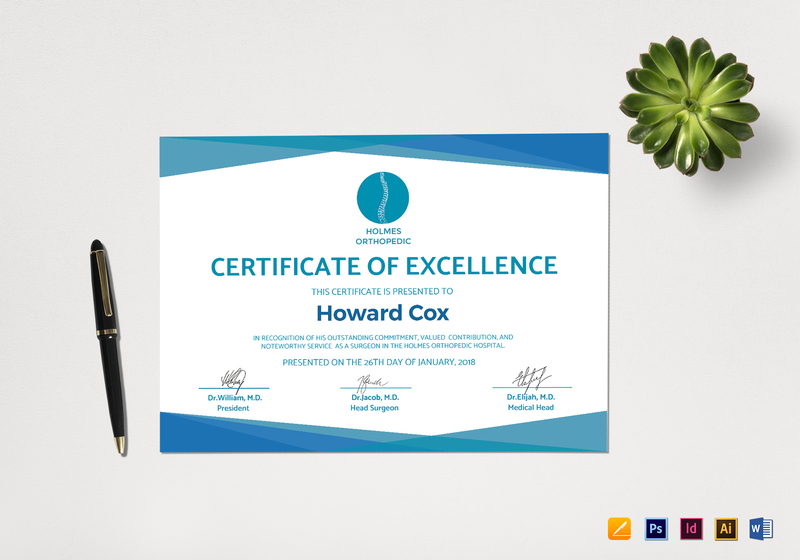 This blue on white medical certificate template comes complete with standard fonts and fully customizable layouts. Have fun inserting and using high quality photos in 300 dpi resolution and CMYK Color Space print standard. 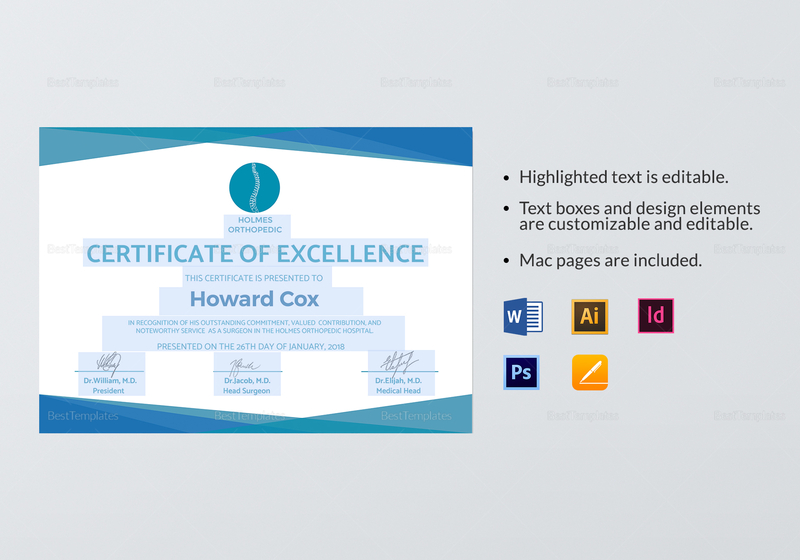 Edit using your chosen app or program that supports Illustrator, Photoshop, Pages, InDesign, or MS Word file formats.